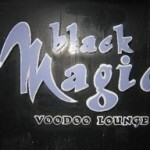 And while I am on the subject of black magic vodou, which I always am … let me whisper the address of a little piece of the murky vibe right here under our noses. 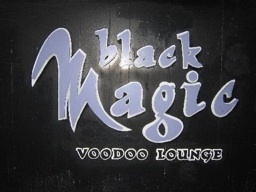 For great beer—from Louisiana’s Abita Brewing Company just 30 miles north of the New Orleans— and a smoking jukebox, as well as the occasional skeleton and Mardi Gras bead, drop in at the Black Magic Voodoo Lounge in the Marina/Cow Hollow area: 1400 Lombard Street in San Francisco. You can’t miss it. We’ll I guess you could, but it’s right there on the corner of Lombard and Franklin. I am talking dark, homey and boozy … so nice for zombie types. A good place to wear that Dead Love T-shirt or those Mardi Gras beads and laissez les bons temps rouler. I'm seein it now. The L & J duo on the road again, reading from our smokin', vodoo, French-laced prose and doing a kick-a workshop somewhere inside a shadowy courtyard. Somewhere, of course, a sax is wailing. Does this make your cold blood run hot, or what? I'm ready to go – Mardis Gras and Lousiana beer in San Francisco…perfect – but no zombie taxis, ok?